The seven provinces which remained under ISIS (Islamic State of Iraq and Syria), went through the most destruction. Besides infrastructure, both residential and commercial buildings were damaged while millions of people fled the regions. The reconstruction activities have already started in the affected areas since the defeat of terror-monger organisation. In February 2018, a three-day international conference for the reconstruction of Iraq was held in Kuwait. Several countries pledged to provide financial support to Iraq. France committed $1.1 billion assistance while the EU pledged $450 million. So far, out of $88 billion required for the rebuilding of the country, Iraq managed to raise $30 billion at the start of 2019. Thousands of reconstruction projects are yet to be started in the country. 34% of the total funding required in the reconstruction of Iraq is already managed. However, Iraq can collect billions of dollars for reconstruction, but lacking a proper transparent spending system. The country is now making efforts to develop a special department for this purpose. Once established, the new department will be the authorised body to spend reconstruction funds in better and effective ways. Iraq is dominated by EAF furnaces as well as a raft of IF furnaces. Its total crude steel production capacity is around 2 million tonnes. Iraq is trying to increase its steel production to satisfy its domestic demand. Currently, a few scrap-based steel producers and rolling mills are operating in Iraq. State Company for Iron and Stel (SCIS) has remained closed since 2003 due to its outdated equipment and damages to the plant during the war. The rehabilitation plan for the company is underway with an investment of $220 million. In the first stage, the plant will be able to produce 0.5 million tonnes of long steel products. The plant is expected to start operating at the end of 2019. Al Anmaa Co is an EAF-based steel producer with billet production capacity of 435k and 300k of rebar. 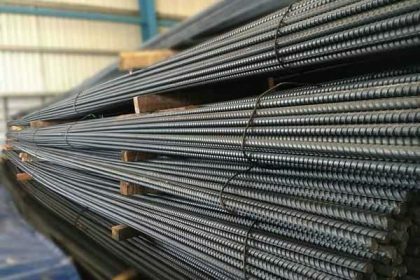 Erbil Steel has an annual capacity of around 200k tonnes of rebar. FF Steel is operating a rebar plant at Erbil in Kurdistan with an annual production capacity of 535k tonnes. IPBD runs a scrap based mini rebar mill in Iraq with an annual capacity of 100k tonnes. Mass Iraq for Iron and Steel Industry Co with an annual capacity of 1.25 million tonnes of steel consist of billets, sections and rebar. It also plans to build a pellet plant for using extracted iron ore from Sanandaj and Saqqez mountains in Iranian Kurdistan. Iraq steel demand to grow substantially as the reconstruction process has started picking up. The multi-billion dollars of construction projects would generate millions of tonnes of steel demand in the market. We estimate that residential construction will account for around 20% of the required $88 billion rebuilding expenditure. Commodity Inside assesses that the total Iraqi steel consumption was around 3.2 million tonnes in 2018. With the rising construction and infrastructure spending, we expect that demand for steel will rise in the coming years. The demand will also be supported by steel pipe and tube demand which will be required to rebuild the damaged refineries. Most of the steel demand in Iraq is expected to be satisfied through imports. Iraq steel imports surged from almost 1 million tonnes in 2008 to 4.5 million tonnes in 2013 but then slumped to 2.3 million tonnes by the end of 2017 due to the war between Iraqi forces and ISIS. Going forward, we expect that most of the imports will continue to source from Iran, Turkey and the CIS region. Iranian steel prices are comparatively lower than any other neighbouring countries. This provides an advantage for Iranian steel suppliers to exports as much as possible. Some of the steel trade is also conducted through barter system due to the US sanctions on Iran. 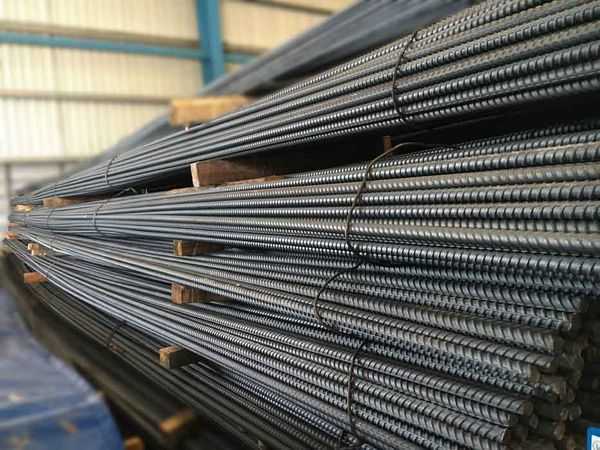 Iraqi steel producers may also struggle to compete with imported material due to high production costs, particularly in the coming years when scrap prices will start rising. Iraq has already increased import duties on steel and other construction materials such as cement from Iran to protect its local producers. This has somehow increased import prices. However, given the lax border control and potential misclassification of steel products may make tariffs less effective. Commodity Inside has conducted customised market research studies for various clients recently. Works included exploring potential investment opportunities in infrastructure investment and the cement market. Would you want to explore this topic further, please feel free to contact us at Research@commodityinside.com.